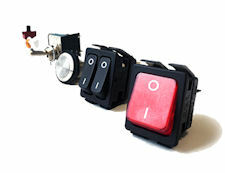 Bulgin News | UK Electrical Distributors – E. Preston (Electrical) Ltd.
Bulgin is pleased to announce the launch of a new range of rugged capacitive touch switches ideal for repetitive operation. 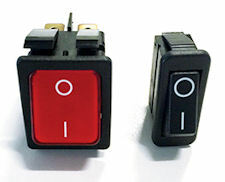 The sealed IP68 rated switches are activated by the touch of a finger and can be used across a wide range of applications from heavy industrial to consumer appliances. • The switches require no operating force to activate, offering both ease of use and a long life expectancy of up to 50 million operation cycles. • Dust, water and vandal resistant, making them highly robust and durable. 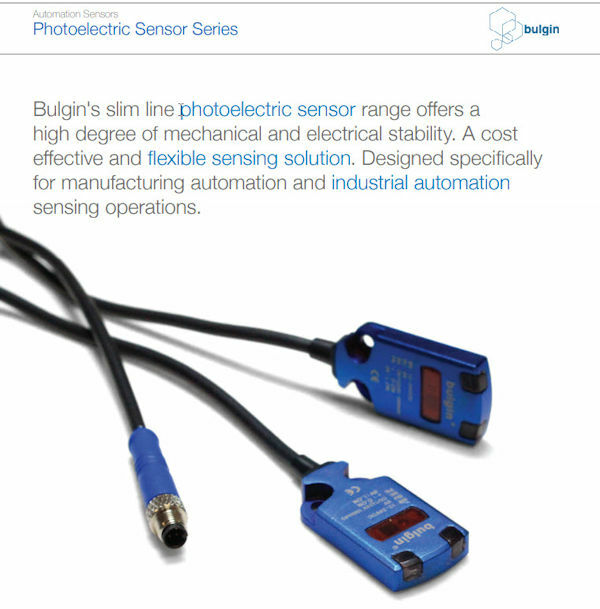 Bulgin – What Makes a Harsh Environment Connector? Bulgin’s Popular Buccaneer Range is an Excellent Example of IP66, IP67, IP68 and IP69K Rated Environmentally Sealed Circular Connectors. There is a growing demand for power, signal and data to be made available just about everywhere we look – even in the most extreme types of environments. This means that the cables providing connectivity to these technological components have to work reliably under tough conditions – on automated factory floors, inside heavy machinery, exposed to outdoor elements or even underwater. One of the most common points for potential damage in any electrical system is any place where these cables get plugged in – the connectors. So what’s the difference between a normal connector and a harsh connector? 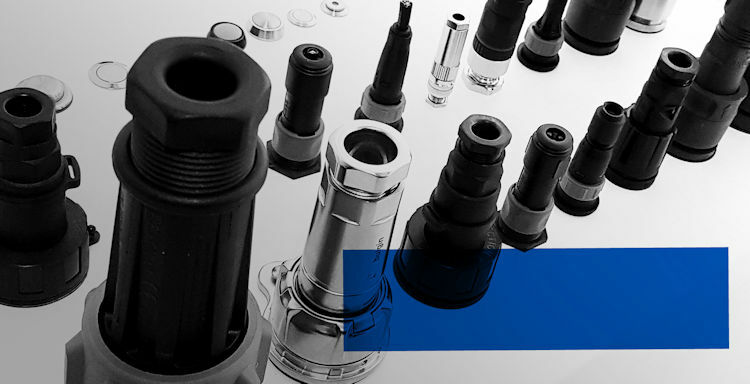 Harsh connectors are expertly designed for extreme environments where technology is being pushed to new frontiers. • Water – this includes rain, water vapour, and possible water submersion. • Dust – industrial and outdoor environments often contain a lot of dust or dirt, which can be harmful to electrical systems. • Extreme temperatures – very low or high temperatures can be detrimental to technology. • Explosive environments – ATEX zones are work areas that could be potentially explosive because of the presence of dangerous substances in the form of combustible dust, gas, vapour or mist. 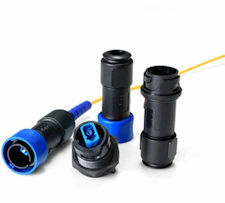 • Rough handling – some connectors need to be mated and unmated multiple times in a day, often hurriedly, which increases the risk of wear and tear on the connector. Connectors being dropped or dragged along hard surfaces can also cause damage to the components inside the connector and affect the integrity of power, signal or data connections being passed through the cable. • Pressure – power, data and fibre optics are needed in aircraft, in space and even at the bottom of the ocean, where pressures can reach up to 9,000 pounds per square inch. • Salinity – the high salt content of water and air in coastal and marine environments can cause corrosion and calcareous growth. The correct material selection is therefore vital to ensure the maximum lifecycle of technology components used in coastal and marine environments. • IP rating – depending on the application, harsh connectors should have Ingress Protection (IP) Ratings of IP67 (protection from dust and immersion between 15cm – 1m), IP68 (protection from dust and long-term immersion up to a specified depth) or IP69K (protection from dust, close-range high pressure and high temperature spray downs). IP69K is ideal for applications in the food processing and medical industries, where equipment must be regularly sanitised. • Locking/coupling mechanisms – a robust coupling mechanism is a must for harsh connectors. 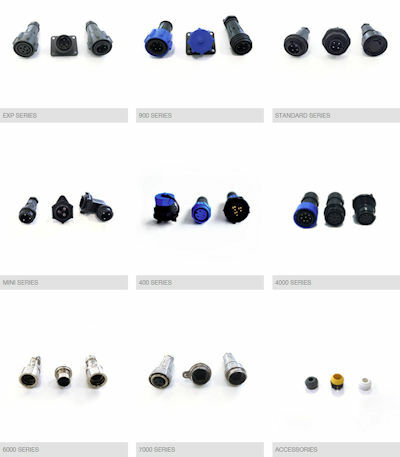 There are many different types of connector couplings, including ring, twist locking, threaded, bayonet, push-pull and quick disconnect couplings, all with different attributes for various types of applications. • Housing and insulation – the type of material the connector is made of is an equally important consideration. For applications where the connector is likely to be exposed to extremes of temperature and plenty of moisture and dust, a corrosion-resistant metal housing may be the most appropriate option. For other uses requiring lightweight and flexible connectors, high-temperature resistant plastic composites may be more attractive. Overmoulded cable versions are also sometimes available as an option where it is not a requirement for the unit to be re-terminated. • Seals & grommets – rubbery seals can be used inside the coupling for keeping the connection tightly in place and watertight. The shape of the connector, thread pattern or mating mechanism and positioning of pins also play an important role in the creation of a truly rugged and reliable connector. 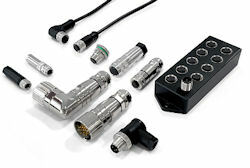 Circular connectors allow for better ease of engagement and disengagement as well as capacity for a wider variety of contacts and voltages. Circular connectors are also easier to seal and less likely to wear or break, and an intelligent ‘scoop proof’ design can avoid damage to the pins if the connector is mis-mated. Bulgin’s popular Buccaneer range is an excellent example of IP66, IP67, IP68 and IP69K rated environmentally sealed circular connectors. These secure, rugged and highly reliable connectors can be used in harsh or hostile environments and offer a wide choice of options from 2 to 32 poles with screw, solder or crimp terminations as well as USB, SMB & RJ45 options for data to solve any type of design requirement. 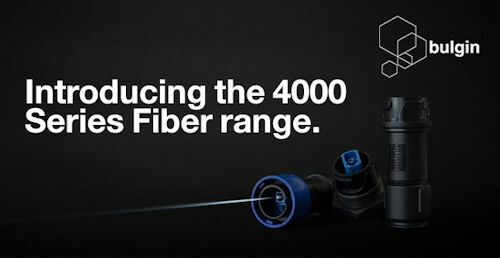 The 4000 series optical connector is one of the smallest harsh environment optical connectors. Featuring a secure quick twist bayonet connection, giving durable mechanical mating. Bulgin is pleased to announce the launch of a unique antimicrobial switches range as part of an exclusive partnership with BioCote Ltd, a leading provider of evidence-based antimicrobial technology. Bulgin’s best selling ranges of standard and miniature rocker switches, push button switches, double pole splash resistant switches and splash/dust covers will be manufactured with BioCote’s silver ion technology during the moulding process moulded to produce the world’s first antimicrobial electronic components. The antimicrobial ranges present OEMs with a distinctive new feature which offers a key point of end equipment differentiation and significantly enhances the benefits to the end user or the product. Integrating BioCote® at the point of manufacture provides in-built antimicrobial protection for the life span of the component part, reducing microbes including bacteria mould and fungi by up to 99.9%. Bulgin’s switches are already sold into a wide range of industries including healthcare, laboratory science, education, catering, leisure and other ‘high traffic’ public places. 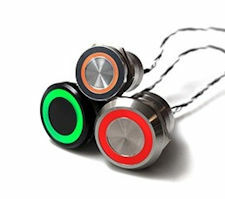 “Bulgin’s switches are already used for a wide variety of ‘high traffic’ consumer and industrial devices. Our partnership with BioCote ensures the surfaces of Bulgin switches will help prevent the spread of microbes including viruses, mould and bacteria,” adds Mark Berry, Programme Product Line Manager, Bulgin. “We anticipate a strong reaction from our customers to these significant enhancements to our best selling ranges.” Five of Bulgin’s best selling switch ranges will utilise BioCote’s technology at manufacture stage, with further plans to roll out this process in time, as demand increases. Bulgin has undergone a rigorous R&D and testing process for the launch of this range. All BioCote protected products are regularly validated and quality control tested to ISO 22196 where applicable, in an independent laboratory. Only products that demonstrate over a 95% reduction in bacteria are allowed to use the BioCote brand as a guarantee of superior antimicrobial performance. BioCote has carried out a number of environmental trials in hospitals, food processing and care homes to scientifically prove BioCote protected products are as effective in situ as in laboratory testing, consistently reducing levels of microbial contamination in the environment by over 95%. Designed to decrease downtime and increase production efficiency, the M-Series provides reliable and uncompromised data, signal and power transmissions for industrial automation systems in harsh environments. Featuring an M-style threaded locking nut, Bulgin’s M-Series offers an extensive choice of robust industry standard interconnect solutions for automation and control applications including: M5, M8, M12, M16 and M23 variants. This IP67 rated connector range includes field installable connectors, receptacles and overmolded cable variants with PVC/PUR jackets. EMI shielded options are also available in addition to plastic or metal housing materials that come in straight and right angle forms. Passive distributor boxes with M12/M8 actuator and sensor sockets are also available to reduce installation time in the field whilst maintaining a high degree of protection with an IP67 sealed housing. Bulgin is pleased to announce the strategic incorporation of sister company Arcolectric into its business offering, bringing together two complementary connectivity portfolios. By combining these leading product ranges under the highly respected Bulgin brand, the company is looking to the future, evolving into a more comprehensive and wider reaching component manufacturer and provider of engineered solutions to meet the needs of the industry. 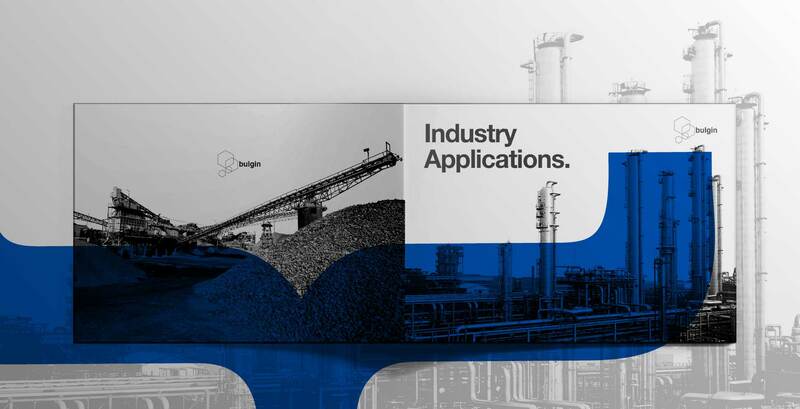 The integration of Arcolectric’s product portfolio will further broaden the range of components and value-added solutions available to customers.